Cover: (12/1965) picture sleeve front and back. Disc: (12/1965) Black label, dog on side. 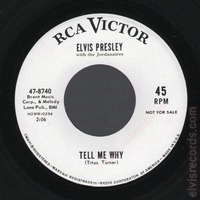 On the Tell Me Why side, BMI on shared line. On the Blue River side, Inc., and ASCAP on shared line. 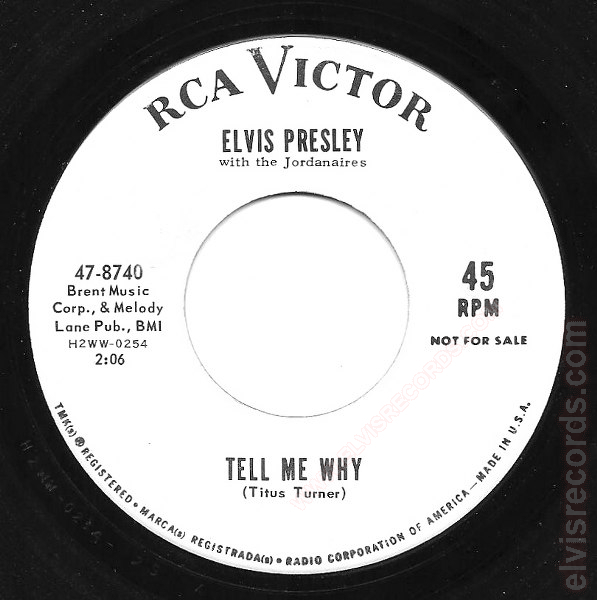 First letter of each word in with the Jordanaires is not capitalized. 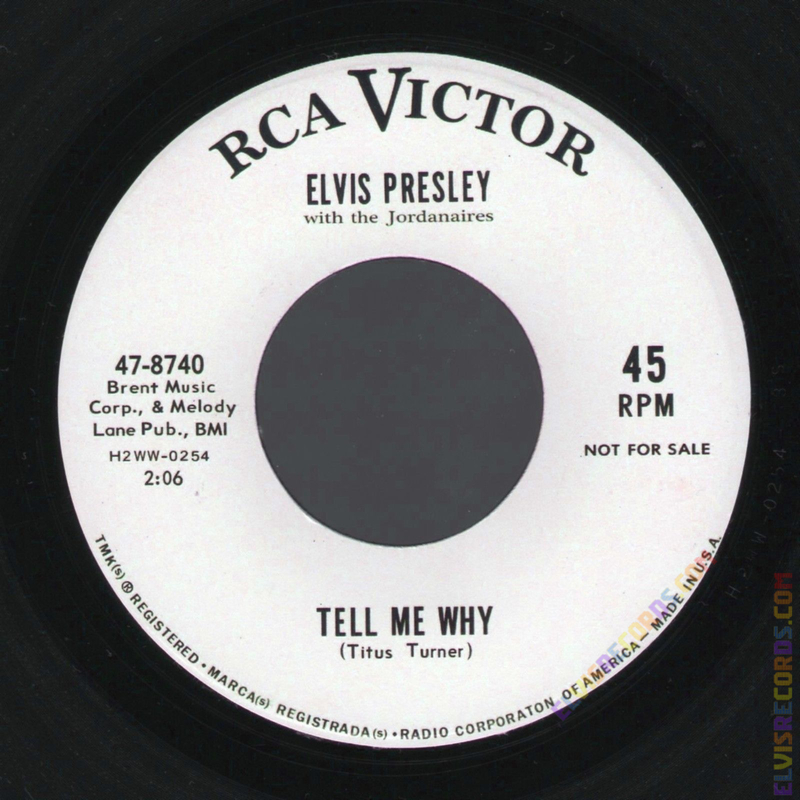 Times on left side. 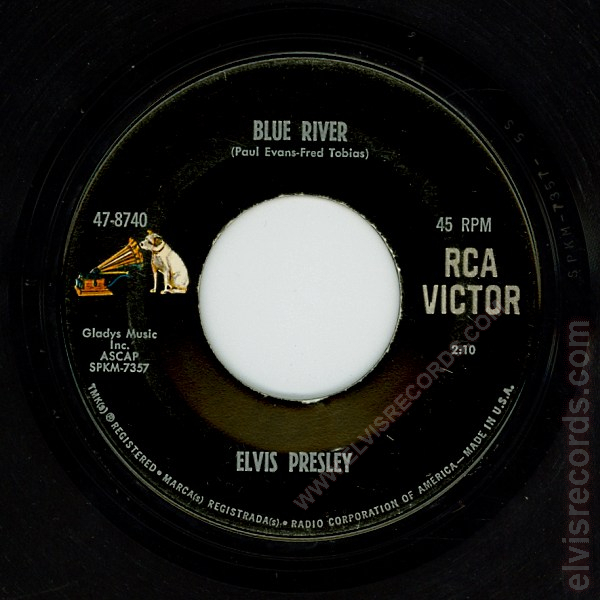 Disc: (12/1965) Black label, dog on side. 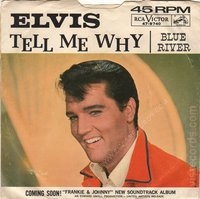 On the Tell Me Why side, BMI on shared line. On the Blue River side, Inc., and ASCAP on shared line. 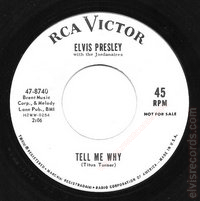 First letter of each word in With The Jordanaires is capitalized. Times on right side. 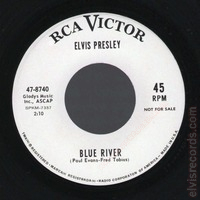 Disc: (12/1965) Black label, dog on side. On the Tell Me Why side, BMI on separate line. 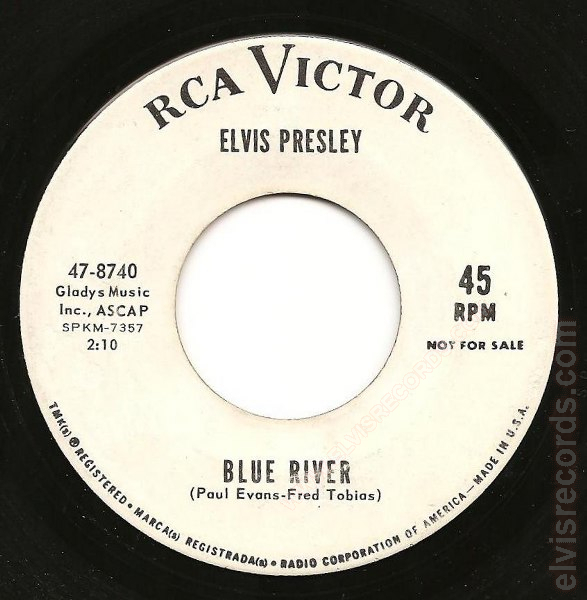 On the Blue River side, Inc on one line and ASCAP on another line. First letter of each word in with the Jordanaires is not capitalized. Times on right side. 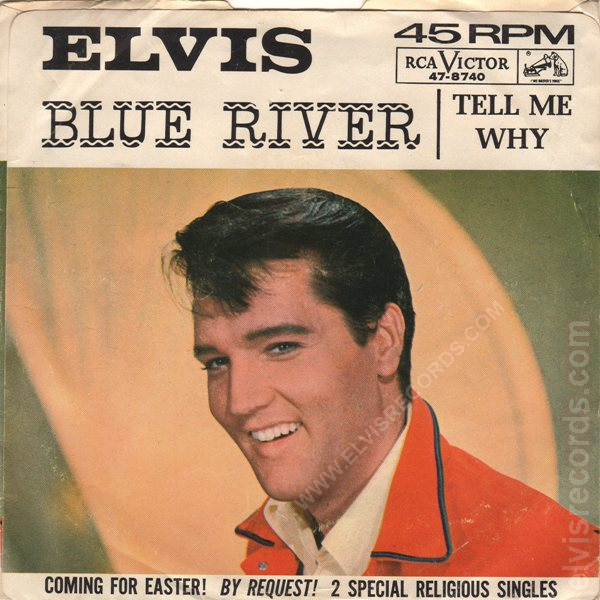 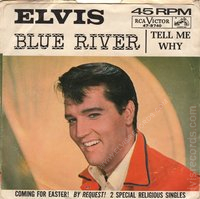 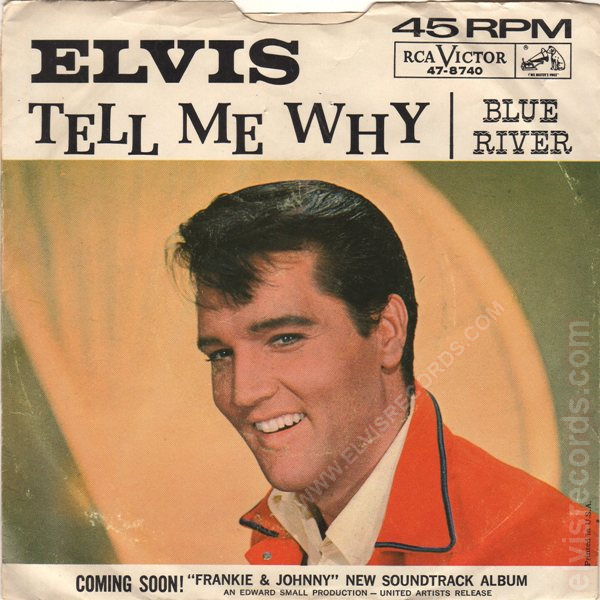 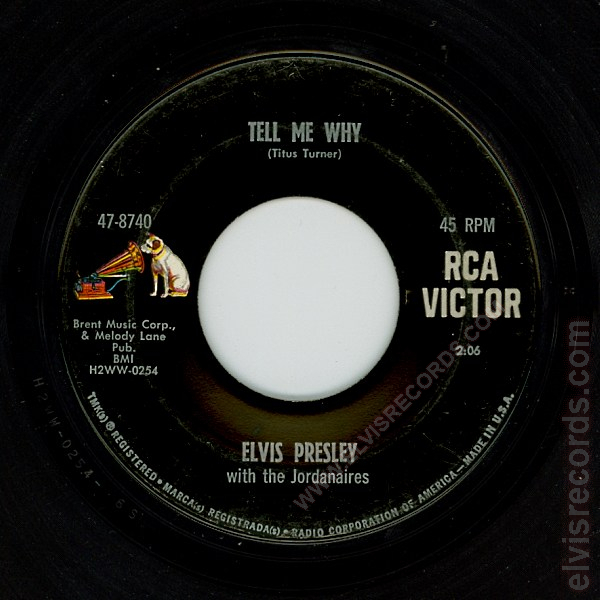 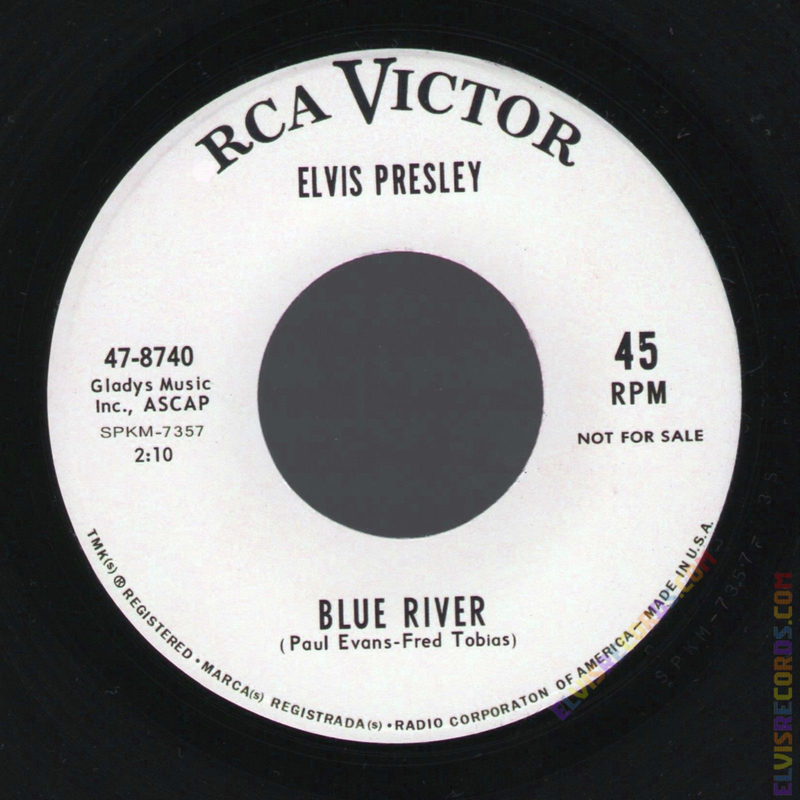 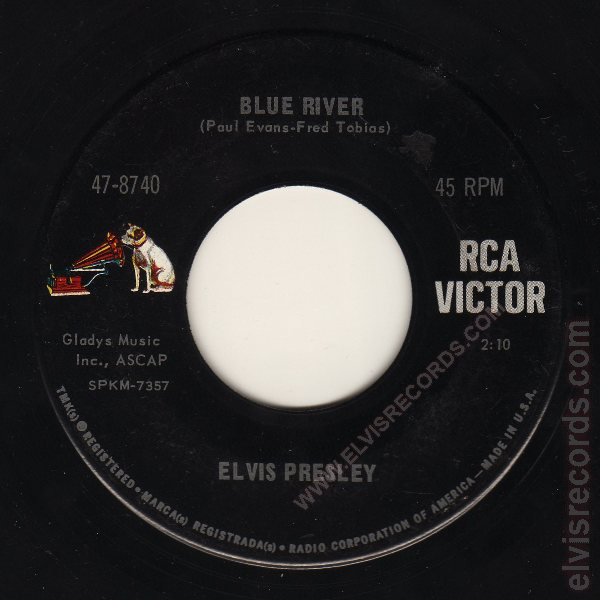 Re-released by RCA Records on 45 RPM as Tell Me Why / Blue River on the Gold Standard Series label.